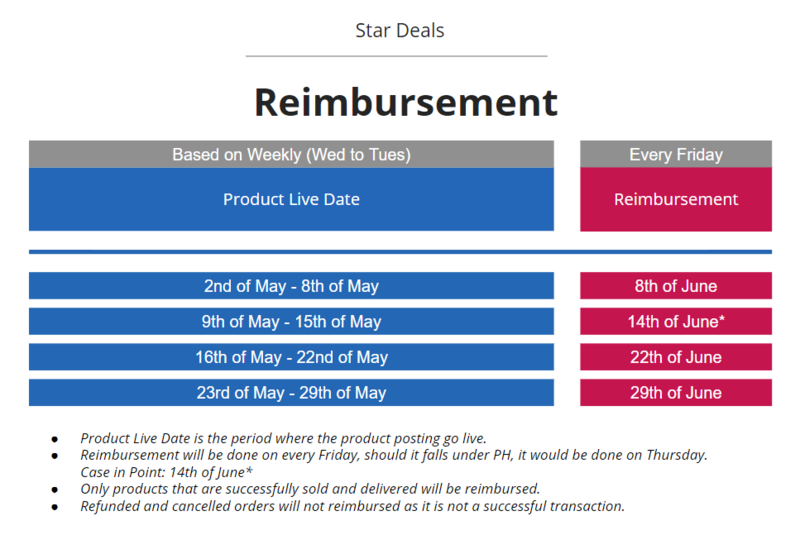 Note: Updated on 6th of June on Star Deals Subsidy Reimbursement. What is a Star Seller? A Star Seller referring to the selected seller that provides good delivery services, good performance and fewer complaints received. All this while, we have been receiving a lot of feedback about needs of providing exclusive supports on operation or sales performance. We hear you and today we are bringing this star seller programme to you as an appreciation of your commitment with Lelong.my throughout all these years. How do we choose our Star Sellers? Star Seller Programme is a pilot project that is currently available to selected sellers by invitation only. A Star Seller badge symbolizes a sign of trust and good services to selected sellers. It will appear on filter bar, seller information, store name and checkout page. This is to ensure the star sellers are gaining more exposure and easily queried out by buyers. Priority placement across Desktop, Mobile, Newsletter & Social Media will be exclusively for Star Sellers. However, the placement will be decided by few factors such as relevancy to theme, offer (i.e. Discount / Coupon / Gifts) & participation. As a Star Seller, you get to enjoy special promotions! 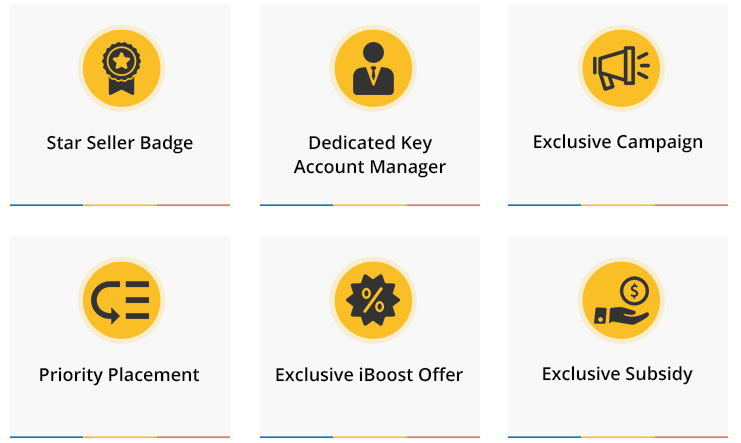 Top up a monthly budget and be entitled to free credits in your iAccount that is specifically used for boost feature at the moment you join this programme. To save your time, the key account manager will manage it for you with data-driven approach and a detailed analysis report will be provided after the boost period ended. With this report, you are able to analyze and understand your store trend better and eventually helps in sales performance. A brand new ‘Star Deals’ campaign page is live today. We will select the good deals submitted by Star Seller and exciting products will be refresh daily and display on the page for certain period. In a nutshell, this is a page where you can shop all the great deals in Lelong.my across all categories. Be fast to grab! Star Deals products will be live every day and top up with subsidy to make the deals even more attractive. *Subsidy percentage will be subjected to case by case basis and deals submitted subject to approval. Should you have any queries, please do not hesitate to contact us here. Hi Geschafts, for now Star Seller is based on invitation only. If you think that you fulfill the criterias above, please submit your store to storesupport@lelong.com.my. Thanks! How to join Star seller programme? Hey Denise, for now Star Seller is based on invitation only. If you think that you fulfill the criterias above, please submit your store to storesupport@lelong.com.my. Thanks! Are we qualified to be star seller? Hey Shone, for now Star Seller is based on invitation only. If you think that you fulfill the criterias above, please submit your store to storesupport@lelong.com.my. Thanks!